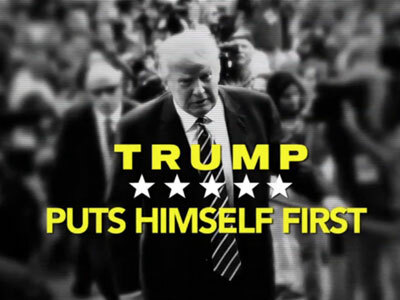 On the campaign ad front, it may be a case of too late, but not, perhaps too little, as the Republican movement to stop Trump goes full throttle. The Center for Public Integrity, in a piece published jointly with Time, has taken a look at the week in television ads since the idea of Trump as a problem that needs addressing has become all the rage. Partnering with Kantar Media/CMAG for its analysis, CPI found that almost 7,000 anti-Trump ads aired in the previous week. Of all the campaign ads that have aired since March 1, 76 percent have been anti-Trump in nature. Leading that pack is Conservative Solutions PAC, a pro-Marco Rubio group that was responsible for two-thirds of the anti-Trump ads, including the one to which the image above belongs. Another big anti-Trump player is Our Principles PAC, run by a former Mitt Romney staffer. Although only about two months old, it has already spent more than $8 million in its battle against Trump. It’s a big change from January, when Our Principles was founded. Back then, restraining from the attack ad course—even, or especially, against Trump—was still the rule.